This is weird, but maybe you'll enjoy it. 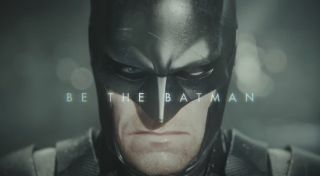 It's a live-action Batman: Arkham Knight trailer, but without much in the way of action. Also, for some reason, it's backed by Nine Inch Nails' The Wretched. Symbolism, probably. Anyway, I'm pretty bemused by the whole thing, but there is a smidgen of game footage at the end. If you'd prefer to just see a big ol' chunk of game footage, last November's Ace Chemicals mission playthrough offers just that. Alternatively, check out our guide to everything you need to know about Arkham Knight.